“A sad tale’s best for winter,” a child tells his mother, only moments before their world is darkened by a jealous king. Wrongly accusing his wife of infidelity, Leontes acts as judge and jury in a horrific abuse of power. The aftermath will haunt a nation for years to come. Sixteen years later, springtime brings light to the darkness of the past as two young lovers heal old wounds and secrets are uncovered. Life’s bittersweetness intertwines tragedy and comedy into romance and redemption. 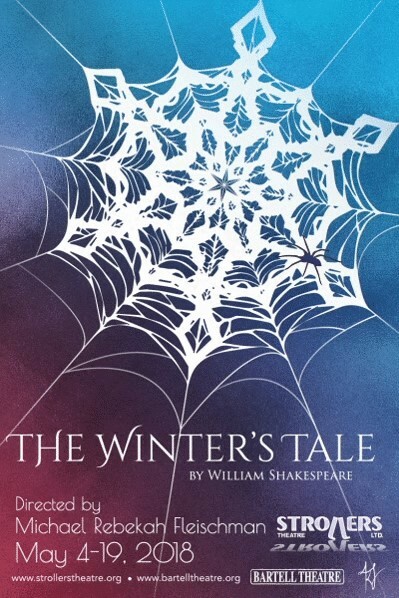 The Winter’s Tale is a gorgeous, sweeping story in which loss is grieved, joy is celebrated, and faith brings forth miracles. With color and gender blind casting, this production of one of Shakespeare’s lesser known works, places the characters in a modern-day setting. Non-traditional casting will bring a new breath of life into this show.